Rooting is the process of allowing the user to attain privileged control (known as root access) over various Android subsystems. 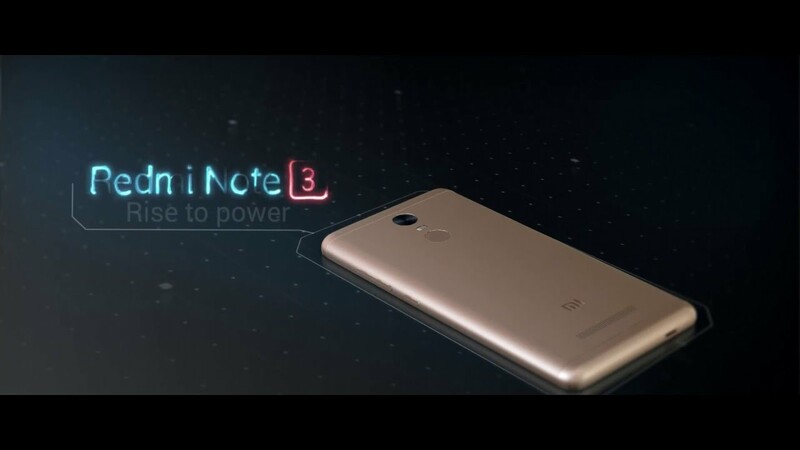 This is a hassle-free Rooting process with the help of my batch file specifically for Redmi Note 3 (SD) using SuperSU and TWRP recovery to flash many of your favorite custom ROM and apps. Microsoft® Windows® 8/7/10 (32 or 64-bits). Download UPDATE-SuperSU-v2.65 and moved it to your"Download" root directory on your phone for easy access. Now you are done with TWRP, SuperSU and you have successfully ROOTED your REDMI NOTE 3 (SD). I have unlocked bootloader and it worked perfectly. Thanks a lot,you are of great help. Please post your method because nobody else can get this to work. beings for sure, I have done so, before putting the rom I did a factory reset. Di you press& hold the vol up button and release after sighting the mi logo. Go settings, then the tab to the far right. This method worked on stable ROM too! I tried just now with modified boot.img & it worked superfine & rooted! So Don't ''allow root access'' from ''security'' >> ''permissions'' at all, even after doing this method. The real problem is system/lib/modules/wlan.ko and will look for a signature match with boot.img, so If it fails WiFi module won't load. You are logically right. I have put up a new Toolkit to install TWRP 3-0.2.2 and choose option No. 1 and enter and follow thru with the on-screen instructions. So is everyone confirming success with this method? I am unable to attempt because Bootloader is still locked (50% issue reported in other threads). Hi guys. I am new to this. So let me understand this: I thought Xiaomi is now LOCKING their devices' bootloaders. Is it not the case with the SD version? Just use this Toolkit, apply Menu #4. Any question just buzz me. Do we still need to get boot.img with the V1-Lite? Did you follow the on-screen instructions carefully... Anyway, you can still use the menu # 1 but you need to modify your own boot image. Anyway I am coming out with much simpler method, just that it needs perfection. Also - lots of people are having the wifi problem because they are using the earlier version of the flasher toolkit but they are omitting to cook their own boot.img and flash it. But if you have your bootloader (officially?) unlocked you can now use the latest version of the flasher toolkit, choose option #4 and no longer need to cook/flash a modified boot.img. Thanks a lot feds64 for the toolkit and info! can you share, how to fix lose wifi connection after doing tutorial above? Please use this as it is even simpler, and you will not face any issues even without a modded boot image.